The heart of Catalonia, one of the foremost metropolitan centres of all of Spain, and a haven or art and architecture, Barcelona is one of the most beloved spots on the whole Iberian peninsula. While it has a plethora of culturally enriching experiences, that doesn’t mean it’s only for the passive observer of the world around them. Those who prefer to more actively engage with their destinations will find one of the best nightlife spots in all of Europe, a culinary experience worth diving head first into and the sun, sea, and sand one should hope for in a Mediterranean vacation. Here’s how you get the best out of your Barcelona trip. Getting into Barcelona is simple enough, with plenty of low-cost airlines flying directly into Barcelona-El Prat International Airport. From the airport, there’s a great system of collections services that transport your party directly from your terminal to whatever accommodation you choose to stay in. Using a Taxi to get from Barcelona airport to city is incredibly convenient and easy, too, with cars and minivans for parties of all kinds, as well as shuttle bus services. Barcelona is a big city with lots of different locations offering different unique appeals. The Old City speaks back to a history that stretches as far as the Roman Republic and the wars against Hannibal Barca (for whom the city is named). Eixample is the more modern part of the city, a neat grid of rigid, tall buildings that make for an impressive skyline. Gracia was once a separate town and still carries something of a small-town feel with its many more intimate public squares serving as the hubs. For getting around each of these districts, Barcelona has a public transport system to rival some of the best in the world, such as Tokyo’s or Singapore’s. A T10 pass can get you ten one-way trips on buses, trains, and metros at a remarkably low price. For those looking to feast their eyes on the sights of the city, it’s more than worth investing a ride on the Barcelona Bus Turistic, which hits up all the most famous tourist spots the city has to offer. With several closely clustered districts, it’s a great city to walk around, too. You can rent bikes from many of the providers, but do be aware that the city’s bike-sharing system isn’t available to tourists, so you have to pay a private provider. The architecture of Barcelona is what makes it one of the premium sight-seeing destinations in all of Europe, there’s no doubt about that. The city has grown and refined through the ages and many of them are still represented within the buildings that you’ll be spending your days weaving in and around. 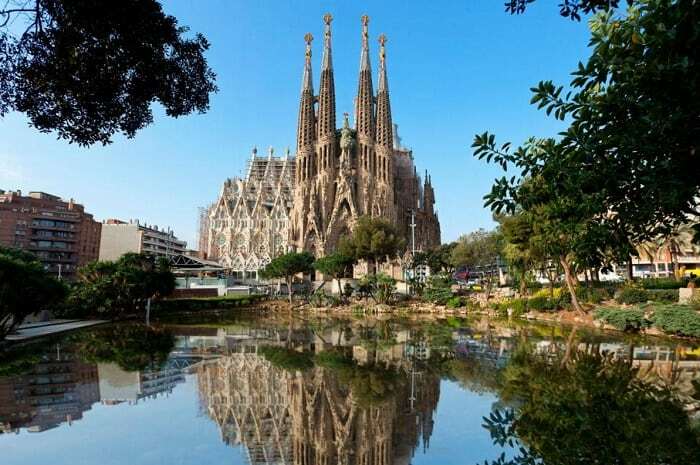 Spain is famous for its magnificent places of worship and for those feeling a little of that spiritual devotion or just wanting to see some of the most decorative architecture around, La Sagrada Familia is enough to get your knees weak. A vertically huge church that’s been under construction for 130 years, the building itself isn’t just beautiful, but it’s surrounded by a lush park on the edge of a serene lake. If you want to go even further back in time, then the Gothic Quarter is exactly as aged as it might sound, containing the Cathedral of Barcelona as well as a scattering of old Roman Ruins. Under Placa de Rei, the public square that looks like it has been plucked right from medieval times, there’s a jaw-dropping subterranean world, where you can get up close and personal with the Roman world as it once in daily life. The ruins contain a fishery, an ancient wine-making facility and even some of the famous Roman baths, though you certainly won’t be taking a dip in them. You can’t visit Barcelona without stopping by some of those gorgeously sunny beaches, either. Barceloneta Beach is the coastal tourist hub of the city and the best place to get involved in the party lifestyle, to rent out water-sporting equipment from the many providers, or to gorge on local seafood. On the other hand, if you want a more relaxing experience, Nova Icaria Beach is still popular, but it is certainly much quieter with 400km of white-gold sands and a gentler shoreline giving everyone plenty of space to enjoy the tranquillity of a gorgeous Mediterranean morning. As mentioned, there is more than enough to do in the city and most tourists are going to want to understandably start with its nightlife. Las Ramblas is the city’s busiest district in the daytime, right next to the medieval Old Town. It’s also the part of the city that comes most alive when the sun sets. Full of cocktail bars and convenient restaurants with lively atmospheres and delicious tapas, it is often the first call of the tourist looking to enjoy what many consider a world-famous nightlife. If you prefer something a little more reminiscent of home (and often with plenty of other travellers to swap tales with) then you might want to hop over to the Gothic Quarter, instead. Nowhere near as dark and dreary as the name might lead you to believe, this maze of bars and clubs contains more than a few Irish and British pubs. At the same time, it also has some of the best flamenco spots in the city if you want a real taste of Spanish flavour. For those who prefer to go out by day, it’s more than worth checking out the bustling markets of the city. In particular, La Boqueria is an immense, jam-packed market that’s just off the gorgeous tree-lined road of La Rambla. Here, you can enjoy a shopping experience that varies in scope and scale, both from picking up fresh ingredients to make your own lunch with or for treats that might not exactly be worth as much as you get charged, but will certainly serve as a reminder of that lively, sunny place. For a more dedicated retail experience, you can find all the boutiques and brand names you want in The Old Town. There are older shops too, bearing all their antique charm and clinging hard to traditions. These smaller places are still some of the best places to get souvenirs in the city, like olive oil or a bottle of red wine. 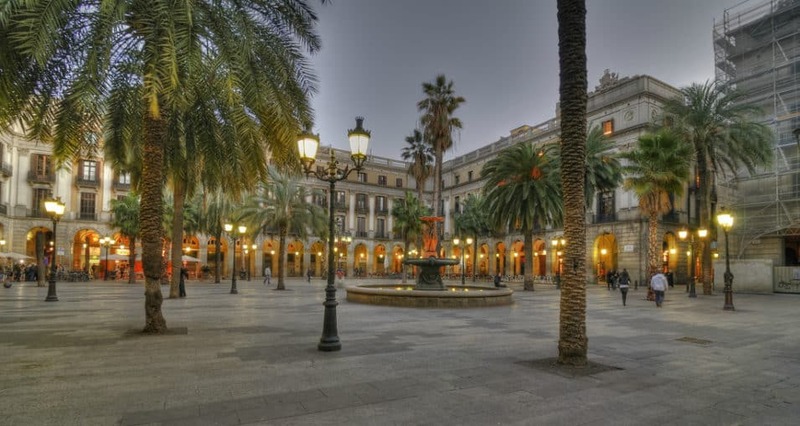 Do be aware that Barcelona is a hugely popular city, so you can expect to jostle with plenty of tourists when you’re visiting the most attractive areas. This can often mean long queues for many of the sights and services, too. Pickpockets are another serious issue, with many of them hanging around the beaches. Be vigilant and keep your most valuable possessions physically attached to you. A wallet chain might be a good investment. If you’re using ATMs here instead of traveller’s checks, never let banks charge out of your native currency. Make sure all charges and withdrawals are in Euros and Euros only, instead. Otherwise, you could be on the wrong end of some steep exchange fees. Barcelona is a truly metropolitan spot, with something for just about everyone. History, art, architecture, food, culture, entertainment, and shopping. It’s a city that can barely be explored in a lifetime, let alone one trip. Hopefully, however, the tips above have shown you a few places to start from and will help you enjoy a safer, smarter, and much more enjoyable vacation in the Catalan heart of Spain. Great article! I love the way you see the city and how you live the experience. There are so many cool places to eat in Barcelona. Lovely pictures you captured.. Thank you!! You have a beautiful pictures of Barcelona! I will definitely use your article to plan my trip to Barcelona. It seems interesting as well as excellent. Thanks for sharing it..
Glad that you have shared this post with us, I am just searching for it. Thanks for sharing such a nice post. The post is incredible, I am looking for this kind of post. I may visit Barcelona this year. Really helpful post for people like me. Thanks for sharing this wonderful post.